By Clemente Lisi – NEW YORK, NY (Apr 8, 2019) US Soccer Players – The USMNT has gotten 2019 off to a strong start. The Gregg Berhalter era has brought with it wins, optimism, and depth at various positions. The aim this year will be winning the Gold Cup. While the US enters the tournament as one of the favorites, what about the region’s other contenders? With the Gold Cup draw set for Wednesday, . . . The soccer news starts with the biggest game on the Bundesliga season that didn't stick to the script. Instead of a closely fought encounter between Borussia Dortmund and Bayern Munich, Der Klassiker turned into a rout. Bayern Munich now leads the Bundesliga following a 5-0 home win over Dortmund. The result turns the season around for Bayern, now back where they assume that they always belong. . . . The roundup of USMNT players in Europe and Mexico starts in the Bundesliga. John Brooks's Wolfsburg came back to beat Hannover 3-1 at home. Hendrik Weydandt put Hannover up in the 30th minute with Renato Steffen equalizing in the 32nd. Steffen scored again in the 71st with Jerome Roussillon finishing off the Wolfsburg goals in the 78th minute. "It was a tough match, as expected," Wolfsburg coach . . . Assume very little about the 2019 MLS season. Week 6 saw the team that started the weekend with the worst record in the league win at home. The San Jose Earthquakes shutout Portland 3-0 at Avaya Stadium for their first points of the season. Shea Salinas scored in the 15th with Danny Hoesen doubling the lead in the 33rd. Cristian Espinoza made it 3-0 a minute later. Daniel Vega kept the clean sheet . 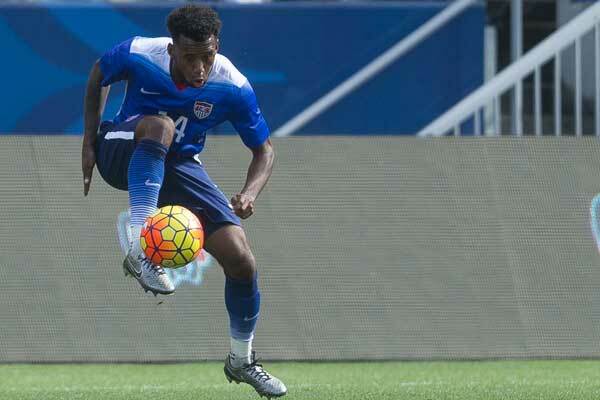 . .
By Charles Boehm – WASHINGTON, DC (Apr 5, 2019) US Soccer Players - The USMNT U-20s are now less than two months away from the FIFA U-20 World Cup. Both optimism and uncertainty are swirling. The tournament, which the USMNT opens vs Ukraine on May 24, is the culmination of the U-20s’ biennial cycle and a potentially life-changing event for those who take part. One of the world’s most prominent . . .
By Jason Davis – WASHINGTON, DC (Apr 5, 2019) US Soccer Players - Detroit City Football Club is the platonic ideal of a grassroots soccer team, at least when it comes to American soccer. Launched by five friends in 2012, the club garnered a surprising response from the soccer community in Detroit. That was despite being amateur and playing a short summer schedule. They parlayed that response into . . .
We start the soccer news with the highly unlikely scenario that Sporting Kansas City will come back in the 2019 Concacaf Champions League. Sporting KC lost their semifinal first-leg 5-0 at Monterrey. Dorlan Pabon opened the scoring in the 7th minute with Aviles Hurtado doubling the lead in the 14th. Jesus Gallardo made it 3-0 in the 55th and Nicholas Sanchez converted a 70th minute penalty. Pabon . . .